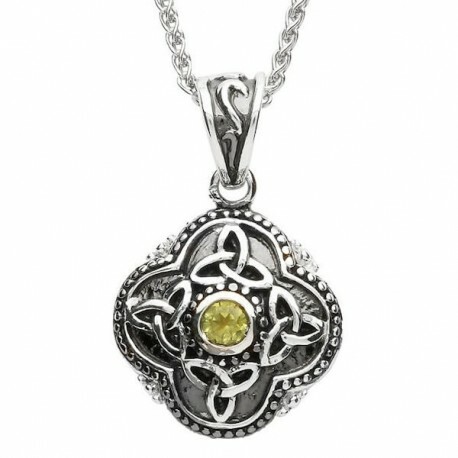 Striking and distinctive ShanOre Celtic Tribal sterling silver pendant necklace shines brilliantly with a Peridot gemstone. The careful detail in this piece is evident in the Trinity Knot accents and geometric edging. By buying this product you can collect up to 129 loyalty points. Your cart will total 129 points that can be converted into a voucher of $6.45. 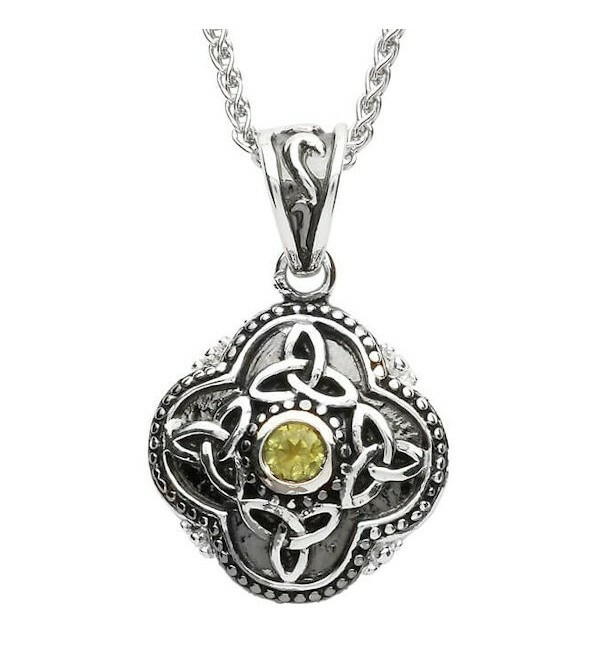 Striking and distinctive ShanOre Celtic Tribal sterling silver pendant necklace shines brilliantly with a Peridot gemstone. The careful detail in this piece is evident in the Trinity Knot accents and geometric edging. The sterling silver appears even more bright and clean against the unique black oxidation backdrop. Includes 18-inch silver chain. Trinity Knots are created from a single, unbroken line that intertwines to form three separate points. According to traditional Celtic culture and lore, these three points are all intended for their own idea. They may represent whichever is most significant to the wearer, which may be The Holy Trinity, past, present and future, or the three earthly elements of land, sea, and sky. However the owner of this exceptional piece chooses to interpret these classic symbols will appreciate their pairing with the elegant Peridot gemstone. The Peridot gemstone is said to inspire prosperity, good health and calm. This rarity of gemstones boasts a bold and distinctive color and carries a tremendous amount of positive energy. Beautiful and unique, the Peridot gemstone elevates the bold and distinctive style of this sterling silver pendant to a truly elegant keepsake. The modern style blended with traditional symbolism makes this a showpiece for day or nightwear.